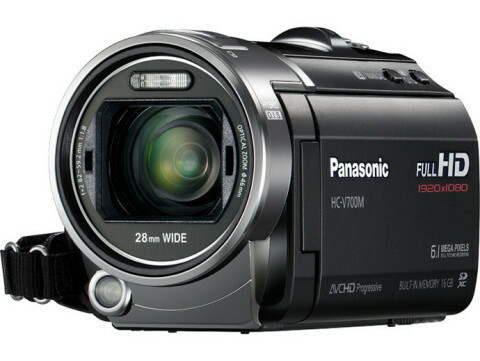 The Panasonic HC-V700M is a High Definition camcorder that can record full 1080p video and comes with a versatile wide-angle 21x optical zoom lens. 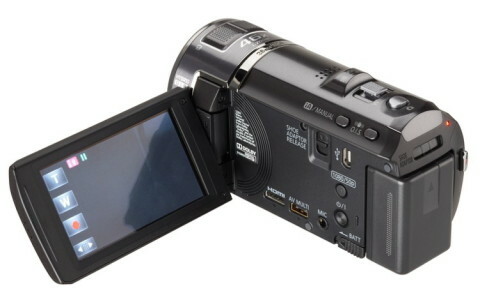 This camcorder also features an Hybrid O.I.S. (Optical Image Stabilizer) that helps prevent bluring. The combination of Hybrid O.I.S. and optical zoom gives the ability to take fantastic zoom shoots even in less lighting conditions. 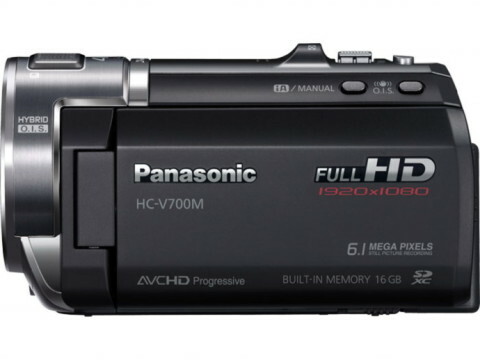 The Panasonic HC-V700M also has 16 GB built-in memory (the HC-V700 version has only the external memory, via SD/SDHC or SDXC memory card). This video camera comes with a 15.3-megapixel 1/2.33-inch CMOS High Sensitivity image sensor, that makes it possible to capture stunning indoor and nighttime shots regardless of dark lighting conditions. The HC-V700M can record 3D images using an optional 3D conversion lens and it can also convert 2D images recorded by the user into 3D images. 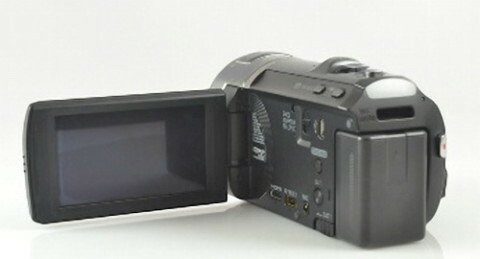 Also present on this camcorder is the iA (Intelligent Auto) Mode with Face Recognition, that selects the most suitable shooting mode with the press of a button. Face Recognition finds the faces of registered people and optimizes the focus and exposure for them. 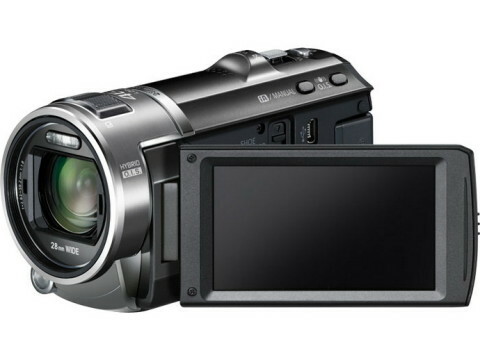 This camcorder has an high-performance 3-inch LCD with 460k-dot resolution, that is touch-enabled and also it is sharp and bright enough for outdoor use. 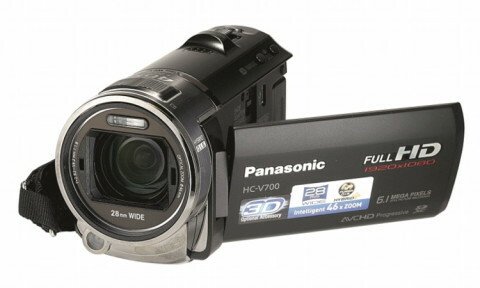 In terms of pure video performance, it’s hard to find fault with the Panasonic HC-V700M. It delivered some of the sharpest and most detail-rich video we’ve seen in a midrange consumer camcorder. The camcorderinfo.com website notes that the optical image stabilization of HC-V700M works very well for a mid-range camcorder and it is able to reduce the shakiness by more than 50% in both their high-shake and low-shake tests. And most of all, motion is handled just brilliantly. Video is totally smooth, and the high bitrates mean there’s little artefacting, even in fast pans. And it’s always nice to be able to have some slow motion without impacting image quality. You can see also a video review of HC-V700M on trustedreview.com website.